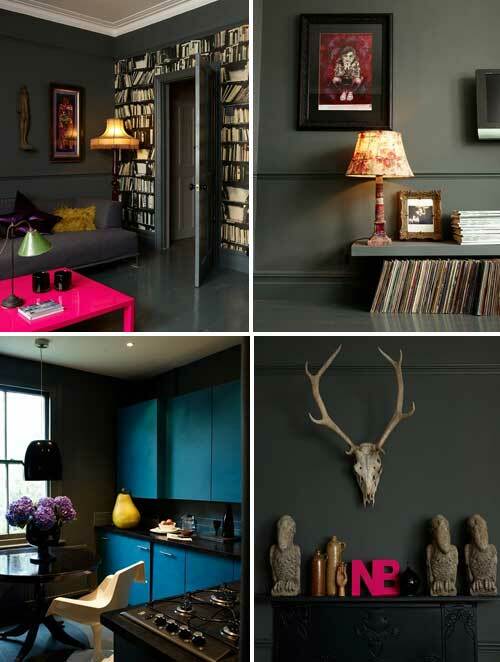 These images, which I found on Design*Sponge, are from the beautiful home of Gemma Ahern. Perhaps the name Ahern rings a bell: Gemma is the sister of stylist and interior designer Abigail Ahern, owner of Atelier Abigail Ahern. Gemma, who is also part of the Atelier Abigail Ahern design team, came up with creative solution to stay within her budget ($10,300/£6,500) for the renovation. In stead of buying an expensive sofa, the bay window (with slubby cushions) was used to create more seating. More photos and detailed information about Gemma’s fab house can be found on Design*Sponge. LOVE the colors in this room and how the table just POPS. So beautiful!! definately something to jot-down for future reference. Harriet, Gemma sprayed an existing coffee table in Barbie esq pink herself. 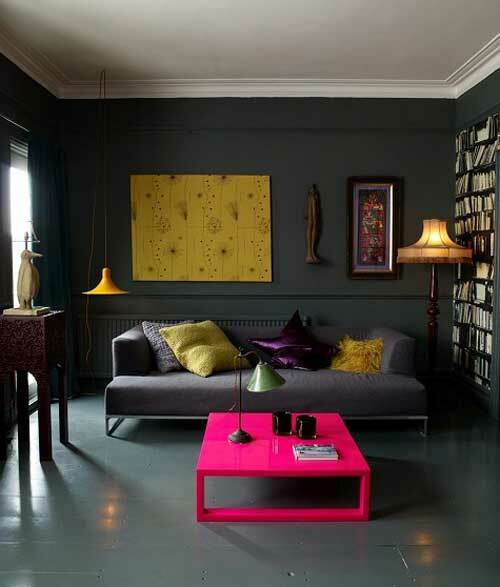 You could try to find a similar coffee table at IKEA for example and spray it pink.